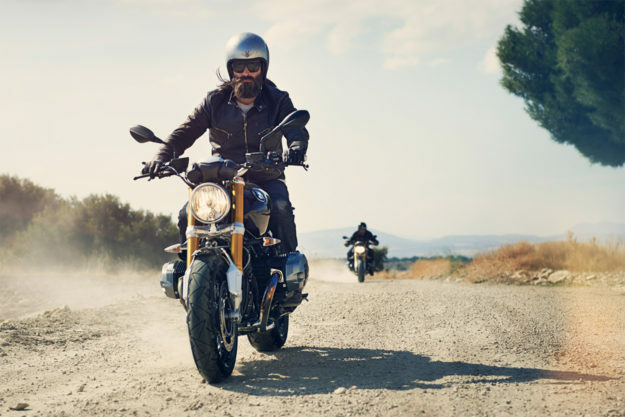 In the short time that the BMW R nineT has been around, it’s established itself as a strong contender in the heritage segment. And now the Scrambler’s landed in showrooms—the first nineT derivative, with a reported two more on the way. The R nineT is actually a bit of a departure for the German über-brand. Their bikes are usually at the forefront of tech—like the continent-devouring tour de force that is the R 1200 GS. It’s been like that for years: the R 100 RS sported the world’s first air tunnel-tested fairing. And the R 80 G/S launched the large capacity adventure bike. 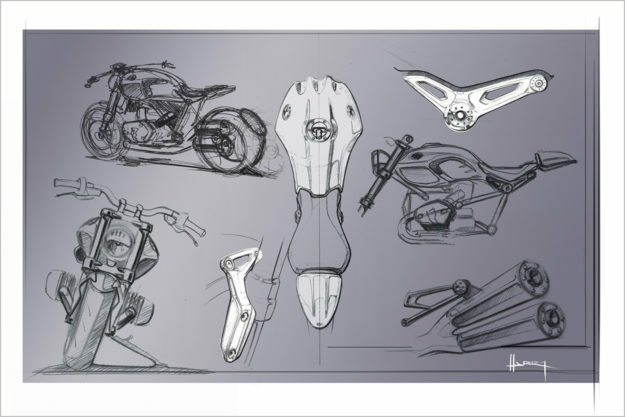 So why build a heritage bike? And why use an air-cooled boxer motor, when you have a newer, liquid-cooled model on hand? More importantly—how do you measure how good it is, when it’s not based on numbers? 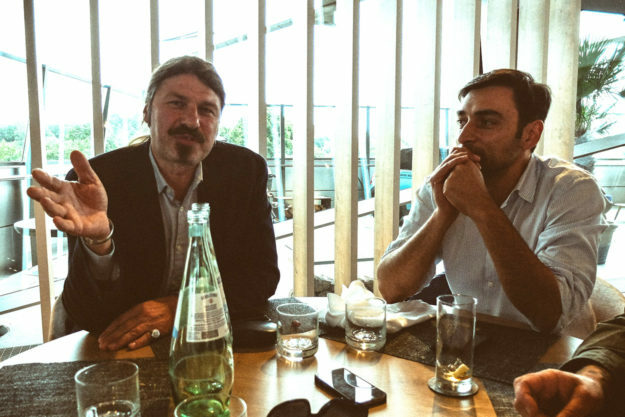 We sat down in Munich with the guys who have the answers: Ola Stenegärd (Head of Vehicle Design and Creative Director of Heritage), Roland Stocker (Heritage Project Leader, below left) and Thrass Papadimitriou (Heritage Business Development Manager, below right). 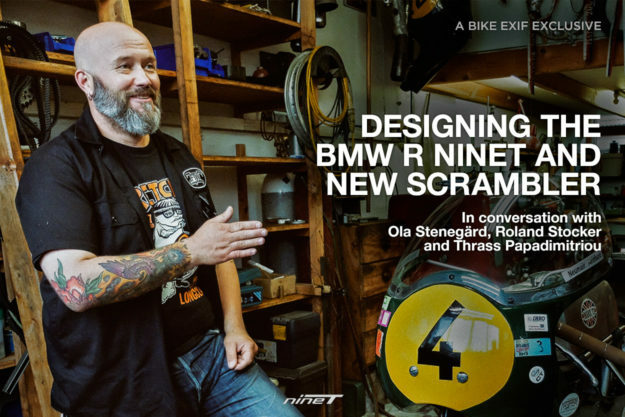 We spoke about the development of the R nineT and the Scrambler [review], how the alt-moto scene is getting more people onto bikes, and Ola’s cats. Bike EXIF: BMW are known for building bikes that are very measurable. 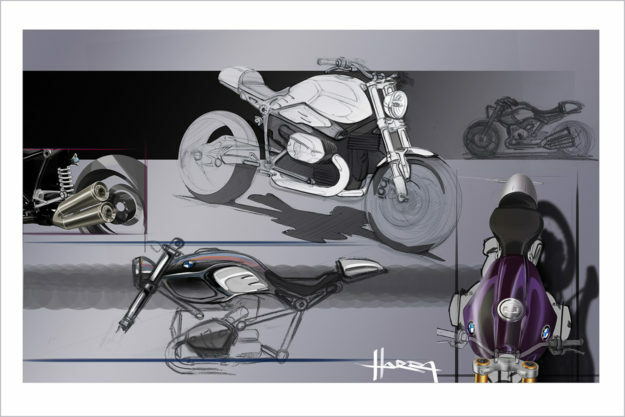 How did you transition from that mindset, to building bikes that are emotional—like the R nineT? Roland Stocker: As you say, in Germany everything is very measurable. And we are used to building motorcycles for the kind of people who measure things—who are really looking at tests, counting numbers and looking at comparisons. But we found there’s much more in the world outside. Especially if you look at these guys who like customizing old Beemers—they don’t look at stopping distance, at acceleration numbers. They have the emotional side. This made us think different. Because we have to build a bridge for these people to the modern world, and this is what drives us with the R nineT—it helped us to begin looking at the emotional side. Thrass Papadimitriou: You have both sides of the card: you have guys who still like performance, and who are very focused on numbers. But what you see growing—and this is also where Bike EXIF comes in—there’s a lot of people who look more for character, they look more for aesthetics, they look for other features in the purchase of a motorcycle. What is new to us, as a company, is how do we make emotional bikes? Why do we still want the old engine? By having the liquid-cooled engine but at the same time keeping the air-cooled boxer, you will address these different types of customers. Ola Stenegärd: Having it air-cooled was super important for us. We’re all from the scene, we all know how important the air-cooled motor is—and the simplicity when you customize it. But, of course, it’s very hard to put a business case together just based on a couple of opinions from some weirdos in the company. So we really had to get the numbers together. But I also remember Bike EXIF started to explode back then. And we also used that as a point.